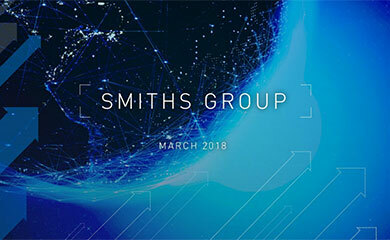 Smiths Group plc (“Smiths” or “the Group”) today announces its trading update for the three months ended 31 October 2016. Overall Group performance in the first quarter was in line with management expectations. Revenue declined 3% on an underlying1 basis. On a reported basis, revenue grew 16%, reflecting the effects of recent movements in foreign exchange2. Expectations for the full year remain unchanged. At 28 October, net debt was £983 million. Since then net debt has reduced further, with the receipt of proceeds from the divestment of John Crane’s Artificial Lift business and Smiths Medical’s Wallace franchise. On 28 September 2016, the Group set out its strategy to lay the foundations for future value creation through stronger growth, improved competitiveness, more robust and consistent execution and a better focused portfolio. 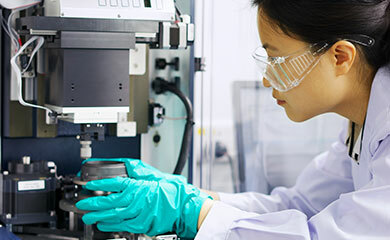 With the recent divestment of John Crane’s Artificial Lift business and Smiths Medical’s Wallace franchise, the Group has disposed of £60 million of revenue3 and released over £170 million of capital towards reinvestment in attractive growth opportunities. Further steps were also taken in the quarter to de-risk the Group’s pension liabilities through a £250 million bulk annuity buy-in agreement.